Fuss Free: Pennants 5 and Fuss Free: Pennants 6 are template packs filled with a variety of hand cut pennant shapes and topped with layers of elements to help you tell your winning story from beginning to end. 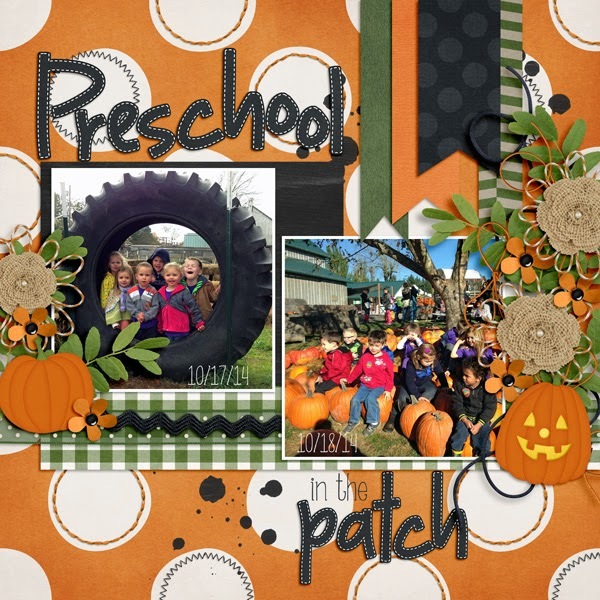 Fuss Free: And Many More was specifically designed for Scrap Orchard's Birthday Bash 2014. These templates are an ideal way to enjoy your own birthdays or other celebrations. If you missed some of these templates during the Birthday Bash 2014, they are placed together in this pack for your purchasing convenience. Purchase Fuss Free: Pennants 5 and receive Fuss Free: Pennants 6 FREE! Offer valid through April 24, 2014. 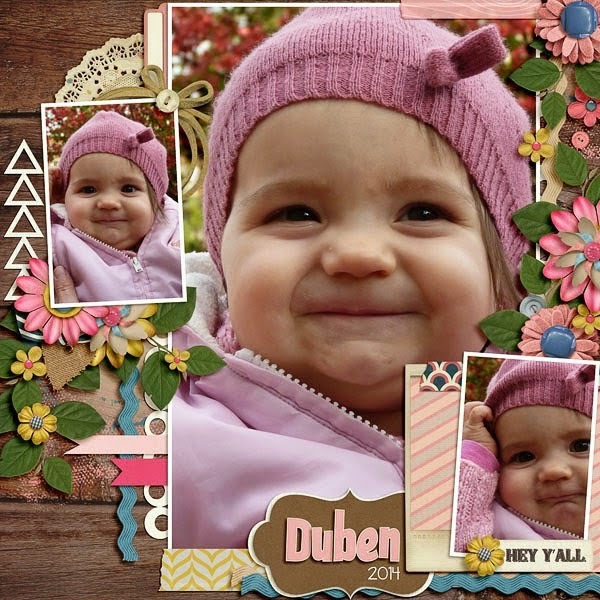 The April Exclusive Template for my Facebook Fans is available on my Facebook Fan Page. Once you get to my Fan Page, make sure you have "liked" the page and then click on the EXCLUSIVE GIFT FOR FANS thumbnail under the cover image. 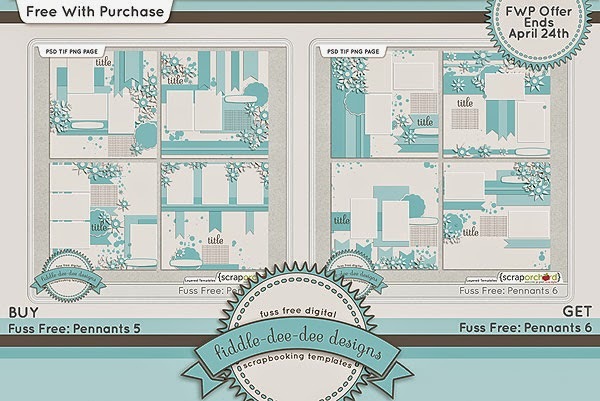 You will be able to download this beautiful template from there. 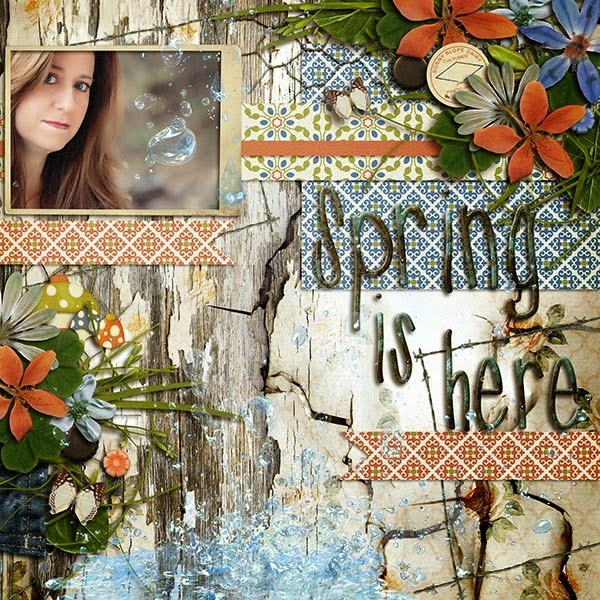 The April Template Challenge has been posted at My Scrapbook Art and you can download this free template for your stash. 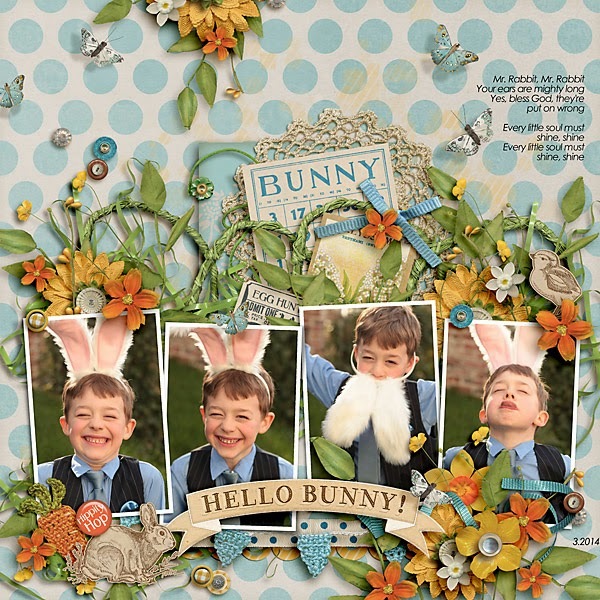 A new template from me for April's Template Tuesday is now available on the Scrap Orchard Blog. Take time to slow down and pull out some photos from a recent event and get to scrapping!